Abbey D’Agostino is the 2013 NCAA Indoor 3,000 meter and 5,000 meter Champion. She also won the 2012 NCAA Outdoor 5,000 meters and was a member of the 2012 NCAA Indoor third place distance medley relay team. At the NCAA Cross Country Championships Abbey placed third in 2011 and second in 2012 after winning the NCAA Northeast Region title both years. She finished in fifth place at the 2012 U.S. Olympic Trials 5,000 meters, only 0.19 seconds behind third place and a spot on the Olympic team. Abbey is an eight-time All-American and has won eight Heptagonal conference titles in cross country, indoor track and outdoor track. She has received numerous major awards including the 2012 USTFCCCA Outdoor Track Female Scholar Athlete of the Year, Dartmouth’s Top Female Student-Athlete of the Year for 2011-12 and Female Athlete of the Meet Award at 2012 Outdoor Heps. Abbey competed for Masconomet Regional High School, where highlights included a MIAA State Division II Indoor mile title as a sophomore and third place at the Eastern Massachusetts X-C Championships her senior year. Her personal best times are: 1,000 meters - 2:45.42; 1,500 meters - 4:16.15; mile - 4:30.00; 3,000 meters - 8:55.41 and 5,000 meters - 15:19.98. Abbey is working on her degree in Psychology and hopes to pursue graduate studies. She was gracious to spend an hour and twenty minutes on the phone during Spring Break a week after the 2013 Indoor Championships. GCR: It’s been a week since you won both the 5,000 meters and 3,000 meters at the NCAA Indoor Championships, which no American woman has done and only New Zealand’s Kim Smith in 2004 and Kenya’s Sally Kipyego in 2007 have accomplished. Has it started to sink in as to the historic nature of your weekend and how much increased confidence does this give you heading into outdoor season? AD It’s funny as a lot of people have asked me whether it has sunken in yet. To be honest, since Dartmouth is on trimesters instead of semesters I came back and had all of my finals to take this past week. So I didn’t really have a full opportunity to seize the moment and appreciate what had happened. But now I’m done as I handed in the last paper that was due this morning and it is relaxation time. Now hopefully I will be able to really appreciate it. The NCAA Indoor race weekend was great as my parents were there and I could do my racing for them and for my coach, Mark Coogan. Right after the races we had a mini-celebration. GCR: It’s interesting that you have classes, then travel to race, only to get back to school, study, take exams and go right back to your normal routine. Do you like having the routine as a student and an athlete? AD I think that having a routine in place is beneficial before a race, though not in the final few days as that is cutoff time and when we flip the switch from school to running. But in the days before we travel it is good to be in my routine as it keeps me a little bit distracted and I’m not hyper-focused on the race. Overanalyzing generally does not work well for me. Mark will talk to me about minimizing the level of ‘race arousal’ as I tend to perform better when I am more relaxed. GCR: In the 5,000 meters your top competition came from Jordan Hasay, Betsy Saina and Aliphine Tuliamuk-Bolton, each who are strong runners and tough competitors who know how to win. What was the pre-race strategy that your coach and you put together? AD We anticipated that Betsy might make it an honest race. We were actually hoping that was her plan. We definitely sat down at the beginning of track season and set down goals for the season, one of which is the U.S. Championships and there is a qualifying time of 15:18 for Worlds. Given that Betsy had run 15:21earlier in the season we thought she might be in shape to run that again. We weren’t sure how it would turn out, but the plan was to shoot for that time if it went that way, though the ultimate goal was to put myself in a position to have an opportunity to win. GCR: It would have seemed that Betsy Saina, with her low 31s PR for 10k would have tried a long drive to run the kick out of you, but you turned the tables and had a long drive which allowed you to pull away from her. Was this somewhat surprising? AD Yes, I think so. Mark and I had talked about a few different possible scenarios and I had led before, but not in a race like that. Earlier in the season we had practiced leading so I was feeling a little more comfortable with it than in previous years. I hadn’t intended to lead it as early as I did with about a mile to go but it felt like a natural move at that point. It was almost as if the lead was handed off and I felt like it was a risk, but I was ready for the risk and luckily it worked out. GCR: The next day in the 3,000 meters you employed the same race tactics as in the 5,000 meters with a long drive against the same three top competitors. Was your confidence high and was it just a matter of executing your plan? AD The way the race unfolded was closer to what we had predicted. The energy from the 5k definitely was channeled into my confidence for the 3k. I knew that I could feel comfortable making an otherwise bold move. It was definitely moving forward to a great feeling knowing that I had a bit of responsibility for taking the lead. It is great to have someone to tuck in behind and to let them do the work but it is rewarding to do some of the work. GCR: These were your first NCAA Indoor Championship wins. Do you like the tight turns and excitement of the fans on the indoor track scene? AD I love that – I really do! I wouldn’t say I enjoy it more than outdoors, but especially at elite championships, like at Heps, indoors feels more exciting. I can really feel the energy and support in such an enclosed environment. GCR: Was there anything you did different in your training coming into the indoor championships that gave you a little boost to race better? AD Training didn’t drastically change from the fall or last year. I was just more consistent and stayed away from injuries. I had a teammate to train with for the winter training block, some local women to run with and I felt really good when we were back in school after the first of January. Since then things have been going well, knock on wood, and I was really excited to have the opportunity to run both races at NCAAs. GCR: Collegiate runners have so many seasons with cross country, indoor and outdoor track and, for somebody at your level, the outdoor nationals and possibly the World Championships. With so many potential times to peak some athletes de-emphasize indoors and train through somewhat - what was your training plan for indoor season? AD We definitely treat it as another season as there are many chances to run fast indoors. This year we did race a little less, focused on quality and that was an ultimate benefit. I had run a few more miles in training and that was a source of confidence going into nationals. Also, leading a race in Washington was a good tactical decision that got me ready in case I had to lead. GCR: When I’ve spoken with some other collegiate athletes, and Jenny Barringer Simpson comes to mind, she told me how Coach Wetmore at Colorado slowly increased her mileage. She would go up five miles a week in the summer, another five miles a week in the winter and so on until after about three years her mileage had increased a lot, though not at one time. Has Coach Coogan done something similar with your mileage? AD He definitely has as I was not running significant mileage whatsoever in high school. Coming into my freshman year I was running about 45 miles a week and after an injury that fall I maintained 45 miles and ran some 50-55 mile weeks that winter. In the spring 60 miles a week was the maximum. There was a steady increase but nothing drastic. This winter I maxed out at no more than 70 miles. GCR: It does seem like you are on a similar mileage path as Jenny’s as I recall her saying she did about 80 miles a week before her senior year and then 85 miles a week tops in the winter. AD We will see. It definitely seems like quite a jump now, but five miles at a time does not feel overwhelming. GCR: Let’s go back to when you started running in high school and take a quick trip through your running and racing highlights that brought you to where you are today. What was your athletic background as a youngster and when did you start running? AD I was born into a running enthusiast family but I didn’t start running competitively until my freshman year in high school. I felt a gentle push from my mom as she ran in high school and college. She was the first woman on her cross country team in high school so she started the program with her twin sister. Originally I was a swimmer through eighth grade and had intended to swim in high school. But after joining the cross country team I fell in love with running and the rest is history. GCR: What did your coach, Joey Casey, at Masconomet Regional High School do to develop your excitement about running and to groom you in your early years as a runner and racer? AD I had a realization that the team was a family. I was a baby freshman in high school and it was important to my experience. We had a very large team with over 90 and almost 100 girls on the team. It was a different type of dynamic than it is now. In the best way high school running was exactly what it needed to be for me and it prevented me from getting too burned out. It wasn’t my sole focus but was an important activity. It wasn’t down the line as my second priority, but I loved it and ran for the right reasons. That is why ultimately I decided to run in college. I benefitted from running in high school in different ways, though now it has transformed to a sort of lifestyle. 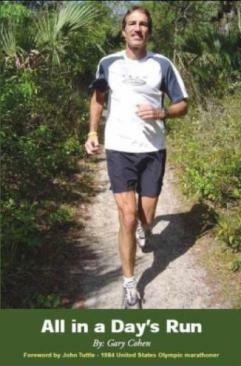 GCR: What were some key training concepts and sessions Coach Casey advocated during your formative years as a runner? AD We did a lot of runs on Friday on our home course which, in retrospect, was a great opportunity. The soft surfaces were ideal and we got familiar with the course. We did a lot of hill repeats there which were great for strength. We would do three repeat miles sometimes on the first mile of the course which was very hilly and had a rocky downhill that seemed dangerous but was good for ankle strength. Coach Casey has been involved with the sport for about 35 years so there was a lot of tradition. We would always have a morning practice the day before competition which I thought was silly at 6:00 a.m. as it cut down sleep for us by an hour, but he did it so we would have extra rest time before we raced the next day. He had a frequent stubborn nature, but was wonderful and such a great guy that he felt like a grandfather to me. He loves his job. GCR: Your sophomore year in high school you had your first big win at the MIAA State Division II Indoor mile when you won in 5:10.44 ahead of Monica Adler’s 5:12.73. What are highlights of that race or of racing Adler? AD Monica and I often ran head-to-head and she ran her freshman year at Dartmouth before transferring to Boston University for mainly academic reasons. She is running really strong with a recent 4:34 mile now so I know her very well. I don’t seem to recall that race. There wasn’t too much competition at the Division II level until the State meet. I do remember running well that indoor season at the New England meet. GCR: Are there any other track or cross country races that do stand out from your high school racing as being a big win, for having a strong kick or for any other reasons? AD One that is definitely memorable is the All-State Cross Country Championship my sophomore year that we ran at Gardner. That was one of the best races of my high school career. It felt that way. I came in third place and was thrilled because I really exerted myself that day. When I crossed the line I felt that I had left it all out on the course. It was really windy and cold and there was a girl from Dennis Yarman High I raced against that had been a competitor of mine for a long time. We ran together the entire race but I can’t remember who finished ahead at the end though I think I did. I was real young and my entire team was there so it was great to be a part of that and to felt a sense of accomplishment afterward. GCR: Some health issues, including an iron deficiency and mononucleosis, prevented you from racing your best and improving your times during the next two years. How frustrating was this and what steps did you take to improve your health so that you would have more positive running training and outcomes? AD There were a few variables that made it difficult to succeed at that point. We also had numerous coaching transitions during that time so the sport didn’t feel prioritized within our athletic department and that changed the team’s attitude. But experiences from high school have translated into motivation for my current experience at Dartmouth. GCR: You were derailed during your freshman collegiate cross country season by an ankle sprain, but made tremendous improvement over the winter and into the spring. What was behind this meteoric rise? AD The injury my freshman year in cross country was very frustrating as I had trained so hard over the summer and wanted badly to contribute. Then over winter break when I was feeling better and had an opportunity to put together a good training block I decided that if I was going to make this decision to contribute that I was going to really make the decision and commit to it one hundred percent. That opened new opportunities to me. I thought of the sport radically different than I had in high school. I now wanted it to be ‘a thing’ as I felt privileged to be a part of an environment where everyone loved running which wasn’t necessarily the case in high school. To be able to do two incredible things at once – to be a student at Dartmouth and to run for them too – felt like it was a missed opportunity not to commit full force. I was all in – all or nothing! GCR: You mention feeling privileged to be at Dartmouth. What colleges were you considering and did the choice of Dartmouth come down to academics, athletics or a combination of both? AD I was considering other schools, but Ivies were all in my top three. I decided after doing some initial visits that I could see myself in an Ivy League atmosphere, which isn’t to say that other schools didn’t have the academics I was looking for, but the more significant aspect of my decision had to do with the scholarship piece. It felt a little more competitive athletically to me at some of the other Division I schools. I wanted to be at a place where academics and athletics were going to be prioritized equally and I had the opportunity to run with other women who were bound to take it as seriously as I wanted to. GCR: Let’s get back to that winter where you committed mentally to being ‘all in.’ What were the keys in training that led to you making such strides and finishing in third place at the NCAA Outdoor Championships in the 5,000m in 15:40.69? AD The mileage was a factor and I had done a lot of lifting a few times a week and drills a few times a week that went back to the previous summer. At that time I was recruited by a different Dartmouth coach and those training insights helped me. So I had more volume of training that was additional to the actual time spent running. Then Mark took over as coach and under his training I switched more into his mentality of adding more actual running miles. The strength I had gained helped me adjust to the increases in running mileage. GCR: During your sophomore cross country season you built on the previous spring and won the the Heps XC title and NCAA Northeast XC Regional Meet before finishing 3rd at the NCAA D1 Cross Country Championships. Did you reflect on where you were two years earlier with some surprise as to how far you had come, or were you thinking you were finally racing how you could have been if you had stayed healthy? AD I think that things happen for a reason and I don’t regret any part of my high school experience as that is the reason that I can now handle this sort of volume. It is funny to think of how things happened as I never in a million years would have thought this is what my trajectory would have looked like. I did know that in going to Dartmouth I would contribute as much as I possibly could. Though the end product was a surprise, my plan was to move forward and the way it manifested itself was unanticipated. GCR: An interesting parallel to that is a reminder of when I interviewed 1976 Boston Marathon champ, Jack Fultz, who has a master’s degree in sport psychology. Jack spoke about focusing on the process of being what you can be and the outcomes will be what they are going to be rather than too many people focusing on the outcome and trying to force the process. What do you think about Jack’s thoughts? AD I absolutely agree. It’s funny you mention this as this past summer was a regular academic term at Dartmouth and after the Olympic Trials I went back to school and lived off-campus with some of my teammates. I didn’t take classes so I did an independent research project. It was on sports psychology and positive psychology and this was a piece of information which I came across frequently. I was reminded to have a focus that was on process-centered goals as that is the only part that we can control. GCR: Back to your sophomore year in cross country - were you happy with that third place finish at NCAAs and did you learn some tactical improvements that helped you in the future since you were less than two seconds behind winner, Sheila Reid? AD Mark and I always joke about how 0.03 seconds comes back to haunt me in races. Now that it has happened a few times hopefully I have learned my lesson and that what it comes down to is reaction time and putting myself in position where I am keenly aware of any moves that are being made. I definitely learned the importance of that and channeled it to ensure as much as I can that I can prevent it. But it’s funny that it happened again the next year in cross country despite the length of the race. There is a tendency when you are with a group of women who are similarly talented and of the same level that it comes down to who wants it the most. GCR: You moved up one spot at the 2012 NCAA Cross Country Championships with a runner up finish. Just how hard is it to win in cross country since you have all of the distance runners who get split up at track championships in one race? AD I don’t really think of it as over whelming in that sense, though the fast, crowded first 400 meters feels overwhelming. Other than that cross country has always been my favorite season. Once you get comfortable and find a rhythm as a group there are many of the same women, so after the first 400 meters it settles down. GCR: The 2012 NCAA Outdoor 5,000 meters was a slow tactical race that you won in 16:11.34. What were you thinking as the race unfolded, what were key strategic moves from that race? AD What I remember the most was the heat. I recall thinking that everything was relative and it was bound to be a slow and tactical race but the heat affects everyone. I had endured unexpected conditions before and I am specifically referring to the snowstorm during Heps cross country the year before. I felt that weather had been a variable before which I had overcome and I knew that in those conditions I could still be tough and that is how it worked out. GCR: How exciting was it to get your first NCAA title? AD Oh, that was awesome. It was really great. I was there with my teammate, Alexi Pappas, who had placed in the steeplechase the night before so it was a lot of fun to have her there and to feed off of the energy she had generated the night before. My parents were there as they don’t miss a meet – they actually love it. GCR: At last year’s Olympic Trials you nearly made the team with your fifth place finish just a couple tenths of a second behind third place. What was your race plan, were you a bit surprised on the home stretch when you were closing on a chance to make the team and is there anything you could have done differently? AD The entire experience was a bonus for me. Mark had said before the race, ‘This is the icing on the cake. This is fun. Do your best.’ That was the mantra of the trip. As I mentioned before, relaxation before a race is very important to me as I perceive a race as more of an opportunity when I am in that state of arousal. The pressure was off before the race, I knew I could run a good 5k, but I didn’t anticipate feeling so good as it had been a long season. I felt privileged to run with those women, it was an opportunity and I felt no choice but to seize it. The moment of crossing the line was bittersweet, but it clearly wasn’t the right time so the overall emotions when I crossed the finish line were a shock. After the fact I couldn’t have been happier with how it turned out because it was bonus time. Initially I had a couple thoughts of what I could have done a bit differently, but I realized I would never forgive myself if I kept thinking retrospectively. I really feel that things happen for a reason and it just wasn’t my time. GCR: It seems that this indoor season your versatility has increased as your mile speed is faster and your strength is outstanding with your long drives to the finish over many laps. What are the keys that have brought everything together? AD I think having a collection of experiences behind me has helped incredibly with my confidence and race tactics. My relationship with Mark has grown, he knows me as an athlete and I trust him as a coach. We have an amazing team support system at Dartmouth and are growing closer with each season. There is a wealth of good energy around this sport. It is not only a physical outlet for me, but a mental outlet. I cannot imagine my experience without running and it has motivated me to reap as much as I can from running and racing. GCR: You have mentioned your coach, Mark Coogan’s influence on your running. I have two daughters, have coached female athletes and have found that having daughters helps coaching females so much. So with Mark not only having a daughter, but a daughter who is a good runner, must really help his understanding of the psyche of the female athlete. AD Oh, my gosh! Yes, it is so important not only to understand how we operate but that it is very different from coaching men. He has realized this and done a great deal to accommodate for our differences. Plus we see how much he cares about us and it shows. We couldn’t have asked for someone who is more committed and passionate for the sport. His knowledge and actual experience is something we must not take for granted as many other athletes don’t have coaches who were Olympians, competed at the World Cross Country Championships and ran from a four-minute mile to the Olympic Marathon. GCR: What are your goals for the NCAA Outdoor season, this summer’s USATF Championships and the possibility of making the U.S. World Championship team? AD My racing will be focused in the long-term for this summer on the 5,000 meters. I will definitely run a few 1,500 meters during the season for speed. We will most likely go to Mt. SAC in a few weeks so hopefully there will be an opportunity to get a Worlds qualifying time there. But experience has shown that there are no guarantees so we will hope for the best and aim to put myself in position to win or place in the top three at the U.S. Championships. That would be awesome! All we can do is try. There is just no way of predicting what might happen as there are so many talented runners. As I have learned, I’ll have to put myself in position and have good reaction time. GCR: While at Dartmouth you have won numerous Heps titles. How exciting is it to compete at the conference level as you prepared for the NCAA Championships? AD Oh, my gosh! I can’t stop talking about Heps this year. I keep telling my teammates that this is the most fun I have ever had in the past six months. It was incredible. I love the team-oriented meets as this season many of my races have been as an individual. To be a part of something that is so positive with all of the energy during the meet at Harvard was so much fun. I raced two times on both days and it felt sort of like a job, but if that was my job it would be the most fun thing in the whole world. It was cool to contribute and to do it collectively. There was such a difference competing at Heps after the Millrose Games the previous week, but I was just as nervous on the starting line because those races are tactical and you never know what might happen. It was a great two day meet and we didn’t think about anything else. Heps was its own little world and it was wonderful. GCR: Though you run to do your best as an individual, you also race with teammates on relay events in track and score in meets as a team in both cross country and track. How much fun was it competing with your Dartmouth teammates and placing at last year’s at NCAAs indoors? AD Relays are the best. The distance medley relay last year when we came in third at the NCAA Indoor Championships – to say it was unbelievable is an understatement. I was in fifth or sixth place when I got the baton. After the first lap the pace slowed down noticeably from 4:40 mile pace to what felt like 5:00 pace. Then it ended up with a 200 meter sprint. We had been joking before the race about what would happen and saying things like, ‘Oh, if we are on the podium we’ll get tattoos.’ We hadn’t anticipated that would happen. But we did make the podium and it was the best thing to keep our promise as all of us except the 400 meter runner got lone pine tattoos. We don’t really have a mascot, but the lone pine tree out there all by itself on a snowy day is our pseudo-mascot. It was so much fun. GCR: Who were some of your favorite competitors in high school and who do you enjoy racing against collegiately due to their talent and determination? AD In high school I was always racing with Kirsten Casper who is now at Georgetown. She was a definite, talented competitor for me. Now in college there is such incredible talent and it great to be more familiar with many of the women I compete with. At the recent NCAAs, especially in the 3k it felt like I knew or had had solid conversations with at least half of the girls. I realized in those conversations that we really are so much alike and that the sport is as meaningful to all of us. It is a neat way to see my competition. It was especially cool to run with a former teammate and one of my best friends, Alexi Pappas, from Oregon, in both of those races. Mark’s daughter was also in the race and had a great weekend which was nice. GCR: You’ve received numerous academic awards including the 2012 USTFCCCA Outdoor Track Female Scholar Athlete of the Year, Academic All-American and Academic All-Ivy honors. How important is it for you to have a balance between academics and athletics? AD That defines my experience. Mark always says that you can only do two things well and academics and athletics are the two I have chosen to put on the pedestal. There is a lot to be said that if we focus on two things that they ought to be two very important things and that we should strike a balance. We can never have a perfect balance, but we can learn so much through trial and error which is so valuable. GCR: Your running success means you may have the chance to become a professional runner after college. Is this an exciting prospect for you? AD Oh yes I always say that I have no intent to wish away my time here at Dartmouth, but if it is feasible for that to happen, I would love to do it. I love this sport and if I were able to pursue higher education and run that would be ideal for me. GCR: I think the likelihood of what I’m about to ask is small, but if your improvement continues in 2013 and you receive an outstanding professional opportunity is there a chance you may forego your senior year at Dartmouth? AD That is definitely not something I will do. I love Dartmouth too much. The professional career hopefully will be there later and there is just so much of an opportunity during this time in college to grow as an athlete and a person. GCR: How big of a goal is it for you to win the NCAA Cross Country Championship this fall since you’ve been third and second and there is only one spot left for improvement? AD That is true and it definitely is an aspiration. But it is a hard meet in cross country. All I can do is to prepare physically and mentally and give myself a chance. It is my favorite season and to compete well there and to improve that one bit would mean a lot as it is different from a title in track. GCR: What are your other future goals as far as times, championships and representing the U.S. in international competition? AD I don’t have any concrete times in mind except to qualify for Worlds right now and 15:18 is the time. I have been taking things one step at a time and it has worked well for me so far, so as long as running is fun and rewarding it will motivate me ultimately rather than quantitative measures. GCR: In 2014 you will be finishing up at Dartmouth and there isn’t a World Championships or Olympics so do you see yourself dabbling a bit at 10,000 meters? AD I have asked Mark and he told me that we won’t run 10,000 meters in college and that we would save me from it as long as we can. I think it would be fun to try it but it takes a different type of training and we can’t make that decision on a whim. It is pretty unlikely and I love the 5k as it is a nice distance the way it breaks down into the focus during the race. GCR: What advice do you have for younger runners to improve consistency, minimize injuries and reach their potential? AD It is easy to overanalyze when we should take things in stride. Pay attention to detail, but not in a way that limits looking at the overall picture and the reason you are running which should be as it is fun. It is important to strike a balance and I probably wasn’t thinking this way in high school. A lot of people have a preconceived notion about what the experience will be like, but it is hard when there is too much analysis. There should be trust that things will ultimately work out. GCR: Are there any major lessons you have learned during your life from balancing academics and athletics, the discipline of running, struggling through adversity and health issues and huge racing success that you would like to share with my readers? AD One of the most important things is to be motivated by an opportunity. Those are the most rewarding experiences for me and that is what the Olympic Trials felt like. It is important not to feel sorry for yourself. At the end of the day we need to feel – wow, am I privileged to be doing what I am doing. With that sort of outlook it is hard not to do your best in any situation. 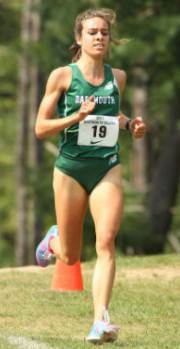 I have also learned at Dartmouth that running is a lifestyle and that by making it a priority I have moved forward by not neglecting areas that needed attention. It forced me to take care of my body, to sleep more and to relinquish some perfectionism within me. All of these things have contributed to my growth as a person at Dartmouth. Favorite Halloween Costumes I did some of the typical ones like a hippie, but my dad one time made himself into a levitating genie. He made a table with a drape over it and now he does it every year. I give him so much credit as he spent so much time on it. The most memorable for me is a group costume my three close friends and I used for our ‘Halloween Dance’ my senior year in high school. We called it ‘the Elements’: Earth, Wind, Fire, and Water. I chose Water- my costume consisted of my sister's blue gymnastics leotard, tie-dyed blue spandex, and a homemade ‘skirt’ made of the closest fabric we could find resembling the ocean. I clearly spent far too much time on it, but we all had agreed to ‘go all-out.’ Some of us interpreted this more literally than others... ‘Earth’ (my friend Rachel) nestled a pine cone in her hair! Funny memory My teammates and I agree on one story from this past summer's pre-season training trip to Dartmouth's land grant in Errol, NH. About 15 of us (just the girls) were playing cards in our small cabin at night - it was literally in the middle of the woods and far from other cabins - and there was a sudden persistent pounding at the back door. As one would imagine, everyone dove under the single kitchen table screaming... and then the banging started on the windows, as well. Finally one valiant girl (who, I must mention, killed a bat on last year's training trip) opened the front door, only to discover it was our coach, Mark. Needless to say, we wanted to strangle him. BUT the story continues... about one hour later, there was a pounding on the back door AGAIN. We knew it couldn't have been Mark again, so there was an even more dramatic freak-out.’ When the same girl went outside with a flashlight, she discovered the entire boys’ team running around the cabin and laughing... No one left the cabin alone for the remainder of the trip! Final Comments from Interviewer It was a privilege and fun to spend over 80 minutes chatting with one of America's young distance running stars. Abbey D'Agostino has enjoyed great success as both an athlete and a scholar and a bright future beckons for this outstanding young lady. Her straightforwardness, dedication, thoughtfulness, excitement, joy and humor shone through during the entire telephone conversation. Get ready for many more great races and achievements in Abbey's running career.